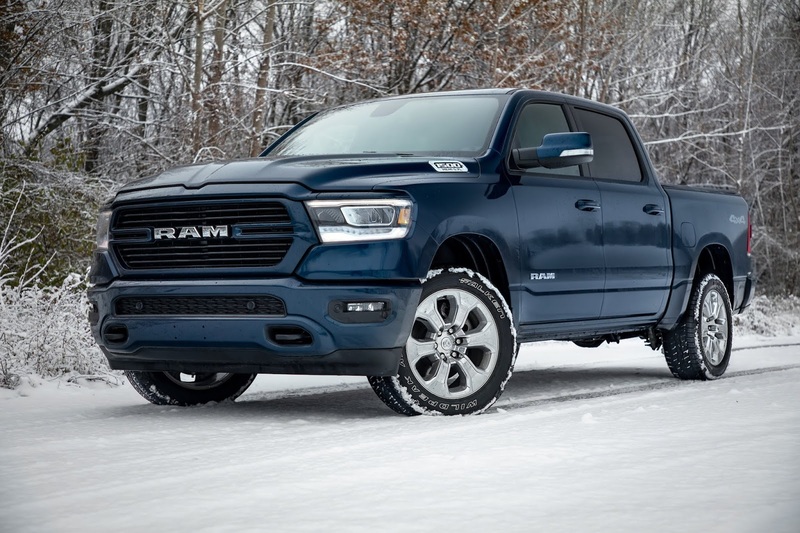 As Old Man Winter prepares to move in, Ram readies drivers with the new 2019 Ram 1500 North— a special-edition truck with content and features geared towards truck owners who need more capability and warmth on their frozen drive. "The Ram 1500 North is more than a great-looking pickup, it offers cold-weather content for truck owners who require a no-compromise 4x4 as part of their daily regimen," said Reid Bigland, Head of Ram Brand. "A factory lift, locking rear axle and all-weather tires deliver confidence when your path is anything but clear." Based on the Big Horn model, the Ram 1500 North is available in Crew Cab 4x4, short bed or long bed cab body styles with the eTorque 3.6-liter Pentastar or 5.7-liter HEMI® V-8. The Ram 1500 North is available at dealers now. Base Manufacturers Suggested Retail Price is $45,890, plus $1,695destination. The Ram 1500 is the reigning Winter Vehicle of the Year, Best in Class Pickup Truck as voted by the New England Motor Press Association. The all-new 2019 Ram 1500 is a no-compromise truck, leading in luxury, efficiency, capability and innovation. Defining future pickup trucks, the 2019 Ram 1500 commands with innovative design, the highest quality materials and class-exclusive technology. Ram leads the full-size truck segment with the most safety and security features and now delivers significant gains in fuel efficiency with an all-new eTorque system in both V-6 and V-8 configurations. Overall weight for the Ram 1500 has been reduced by 225 pounds. As the truck's backbone, the frame uses advanced materials and engineering to eliminate 100 pounds while increasing stiffness and durability for 12,750 pounds of towing capability and 2,300 pounds of payload. The new Uconnect 4C with a massive 12-inch touchscreen leads the pickup world with technology featuring split-screen capability, 360-degree camera views and exclusive content from SiriusXM with 360L. Active safety and security systems join the technology onslaught with adaptive cruise control, automatic emergency braking and Blind-spot Monitoring.